The inaugural Denver Charity Wine Event went off without a hitch with over 100 financial executives from top leading firms including Oppenheimer, Alps, Janus, PIMCO, TransAmerica to name a few. 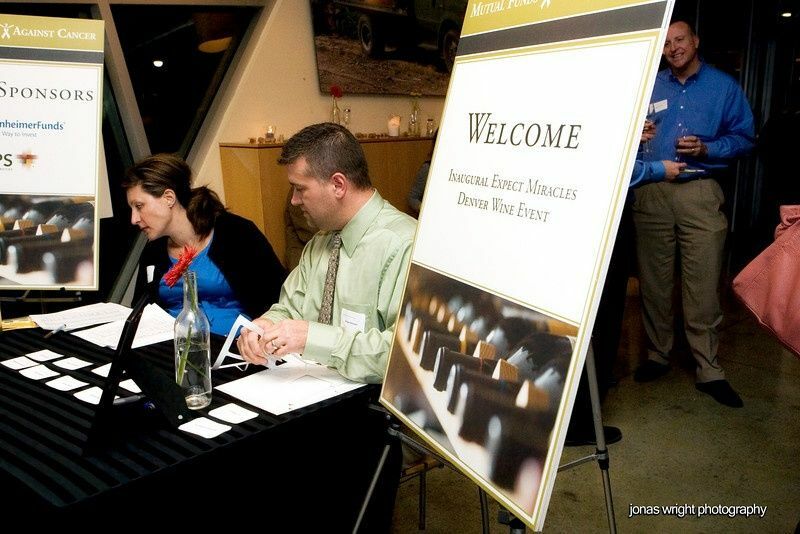 All enjoyed wine tasting along with a silent auction and a donation gift program which included an opportunity to win a foursome to The Expect Miracles Charity Golf Classic in Boston on June 16th, an annually sold-out event. Thank you to Sara Yerkey, Jay Keeshan, of Management Practices Inc., and Mike Hecklinger of Asset Communications who truly made this event successful. The Expect Miracles Foundation would also like to thank event sponsors Oppenheimer and Alps for supporting this inaugural event along with Mad Greens who donated the venue and did an outstanding job transforming the space for this outstanding first event. We look forward to seeing you all again for the 2nd annual Denver Wine Charity Event in 2011, date and location TBD. Please don't forget about our upcoming Charity Golf Classics – Boston, June 16th and Newport Beach, CA on September 19th. Both events are slated to be sold out again this year.